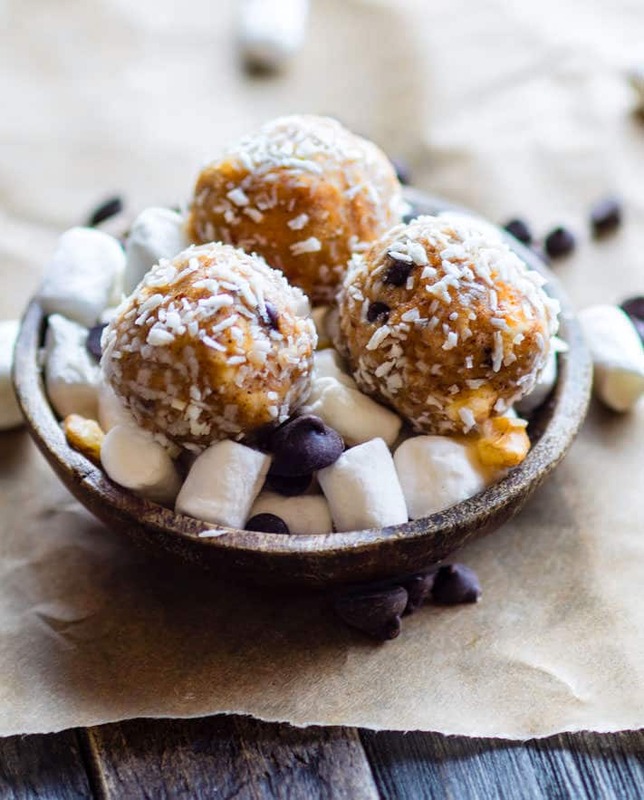 Gluten Free Coconut Rocky Road Peanut Butter Bites. 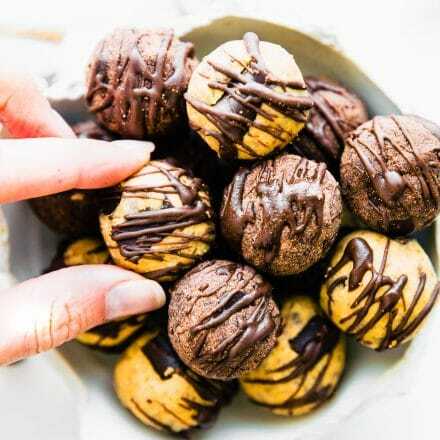 Super simple no bake peanut butter bites that are packed with a rocky road and coconut filling! Made with natural ingredients that are dairy free, grain free, and healthy! Great for kids, snacking, and real food fuel for all. In fact, I might’ve gone overboard on the chocolate coconut frosting on my vegan white cake, but hey, when life hands you frosting, you FROST everything. Okay I’m exaggerating, but you can relate right? 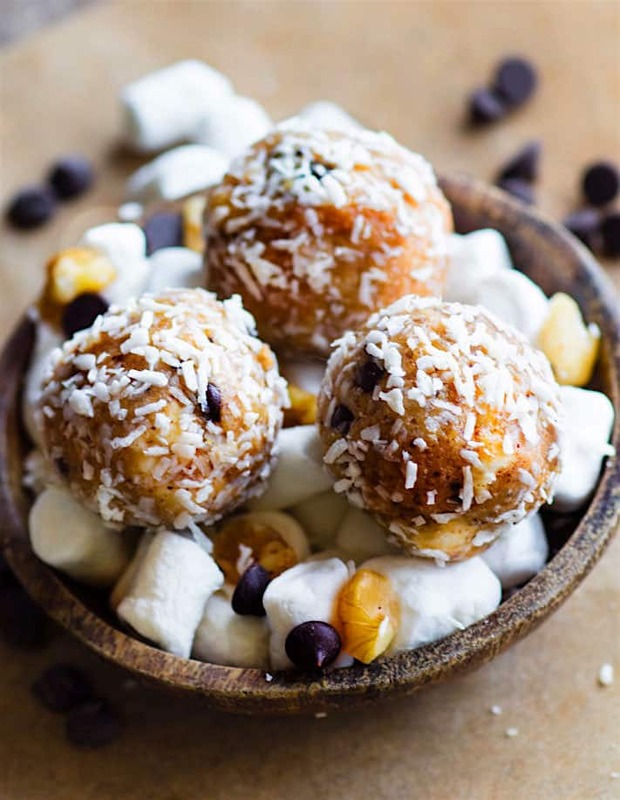 Speaking of rocky road and coconut….tad dah!! April’s Healthy Bite Flavor is here! 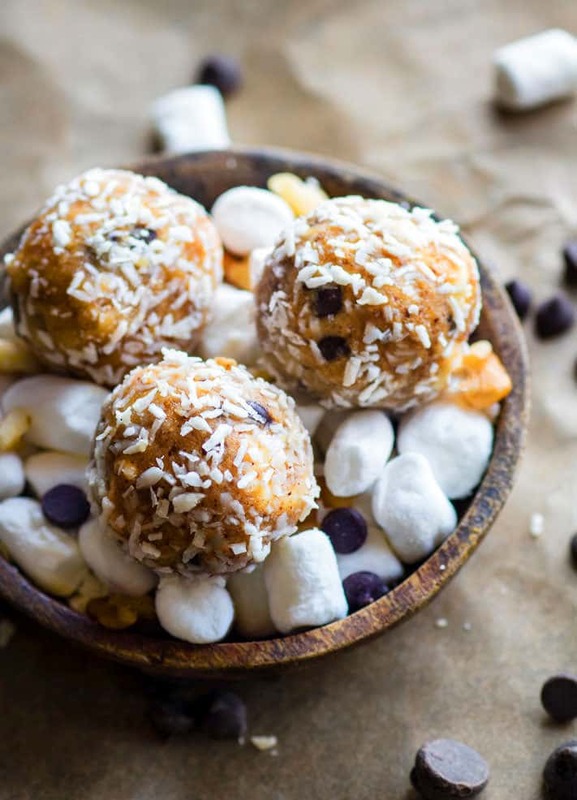 Gluten Free No Bake Coconut Rocky Road Peanut Butter Bites! If you couldn’t already tell, I’ve been quite obsessed with toasted coconut and marshmallow lately. There’s just something about it that just screams summer nights and campfire memories. Even though we’re not in summer yet, it already feels like summer in Texas. That’s normal though. Come Summer time, it will feel like you’re living on the equator, but i digress. Main focus here.. 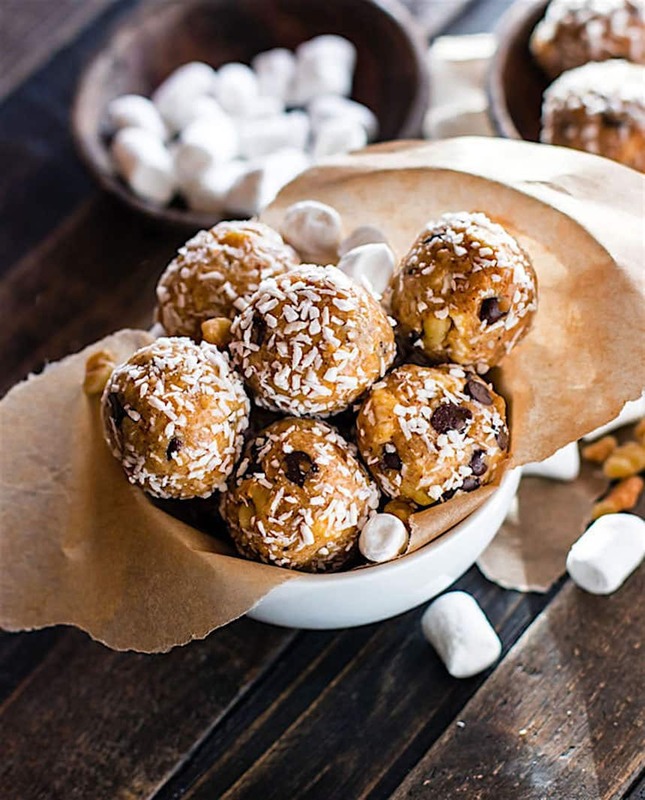 Healthy bites … mmm rocky road… mmm peanut butter bites…. mmm coconut (again). 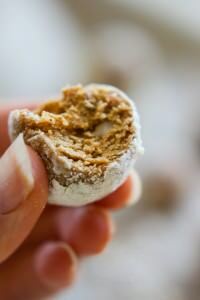 So let me tell you how these Gluten free coconut rocky road peanut butter bites came about. Mmmm k? First of all, we have not one, not two, but 6 birthdays in my family at the end of April and beginning of May. It’s like one big birthday fest each week. One of those birthday’s just happens to be for the kiwi. Each year I try to make him a New Zealand dessert (to remind him of home), plus a new American dessert he’s never tried. Well guess what? He hadn’t even heard of Rocky Road flavor before, yet alone tried the ice cream. I gasped! How is this? We’ve been married for over 8 years and I never knew! Shameful wife I am. It was time to change this. Being that the rest of my family also loves rocky road and all things peanut butter, I decided we needed to make a mass amount rocky road bites for April and May. That way the kiwi could experience this whole marshmallow, chocolate, nutty experience and so that I looked liked the cool aunt when making these for the kiddos birthdays/celebrations. Good wife. Cool Aunt. Do I get extra life credit now? Regardless of my status, these gluten free no bake coconut rocky road peanut butter bites are kinda epic. For one, I used REAL marshmallows. Some of my toasted coconut marshmallows are chopped up inside and so are these all natural marshmallows. I also used peanut flour, peanut butter, coconut flour, allergy friendly chocolate chips, honey, walnuts, and of course unsweetened COCONUT. Think of it as reeses PB cups, coconut chocolate chip cookies, and rocky road combined. Not too shabby eh? But gluten free and dairy free and so much better for you! First tear your marshmallows into smaller pieces or leave whole if you are using mini. If you are using large one, you can put in a food processor but they want chop much. Chop nuts in food processor if they aren’t already chopped . Transfer into a large bowl and add in all the remaining ingredients with the honey being the last . Mix well ( I use my hands) and roll into bite size balls. Coat bites (once frozen) with extra coconut. Makes about 20-21 balls. Freeze or keep in refrigerator to maintain freshness. For natural marshmallows use SAVION brand. In fact, you know what this means? 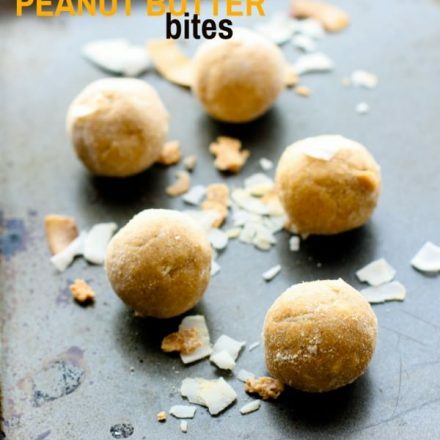 It means that these peanut butter bites would be great for snacking, dessert, or even pre-post workout feel. I love that about using real ingredients. 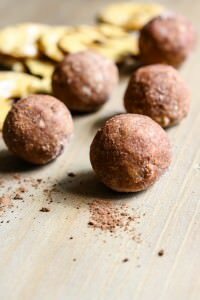 You can make them work for anything, nutritionally or craving wise. Alright, I hope you enjoy these! Sorry no giveaway this time around, but I’m working on one for next month. Tell me what your favorite ice cream flavor is. Does it involve peanut butter or rocky road or coconut? 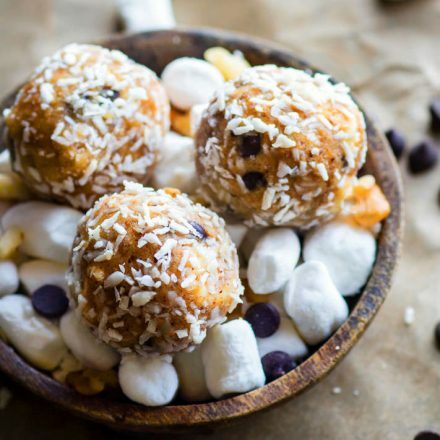 More no bake coconut, chocolate, and/or peanut butter bites to satisfy! And you’ll see more tomorrow because I have a great round of real food feel that you all can use for your workouts, runs, etc. 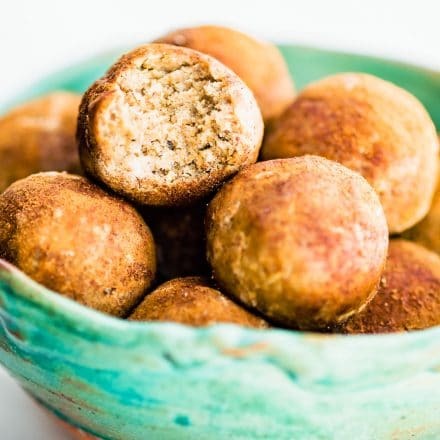 these are gluten-free recipes that will be great to stock up on! So stay tuned. PS. Stay tune for tomorrow. Maybe a snack prep Sunday is in need?? Yes I just made that up. But really, you’ll be able to get a ton of great ideas for real food to fuel you and your family for your upcoming activities/training. I do like me some rocky road, but I didn’t always. I also love French Silk. Or smores ice cream. Or just give me a smore and a I’ll be good. how about i give you all three! ? I’m pretty sure I would eat them all! Haha! Love this flavor combo for healthy bites! My favorite flavor ice cream is moosetracks, but chocolate/PB combo is a very close second! Yum this is everything I love! Of course I love a lot of things, but still, YUM! I can’t narrow down one favorite ice cream flavor but if I had to create one, it would have a vanilla base with cookie dough, peanut butter and fudge chunks I think. Makes me miss my high school ice cream scooping days! Favorite ice cream has changed through the years. Growing up I Loved strawberry or Neapolitan. When I was a little older, coffee ice cream was all I wanted! My favorite ice cream flavor is definitely the classic chocolate-peanut butter combination. I am all about that cool Aunt status and these bites totally look like they would be a hit with the nephews! 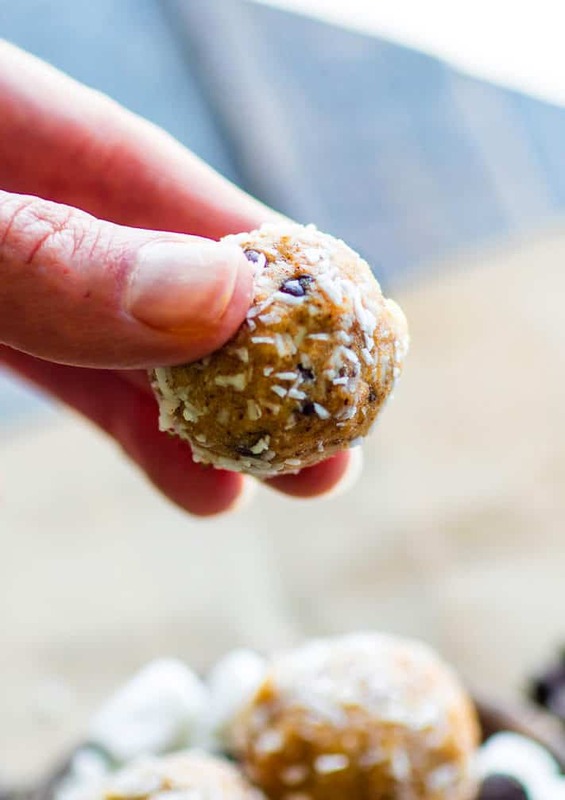 I also have all of the ingredients on hand and am in need of a quick pre-workout snack….this are definitely going on the menu for the weekend! So many birthdays!! Happy early bday to James. My favorite ice cream flavor is mint chocolate chip which is why I loved your healthy bites! 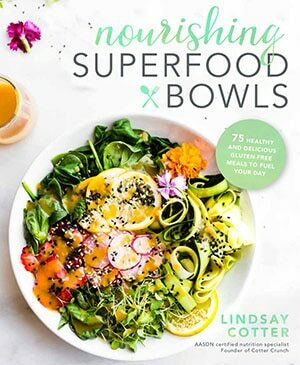 I need to make some healthy bites soon. I love all the flavors that you come up with. oh yes, so perfect for summer! minty freshness and no nuts! LOL! Miss you. Wow! All of my favorite things rolled into one ball! I can use Dandies vegan marshmallows, too! They look so good! But my problem with easy grabbable snacks like that is that it would be difficult to stop at just 1 or 2. I could see myself going through half of dozen of these throughout the day! Rocky road AND peanut butter?! Best wife and best aunt for sure! Happy Friday friend! 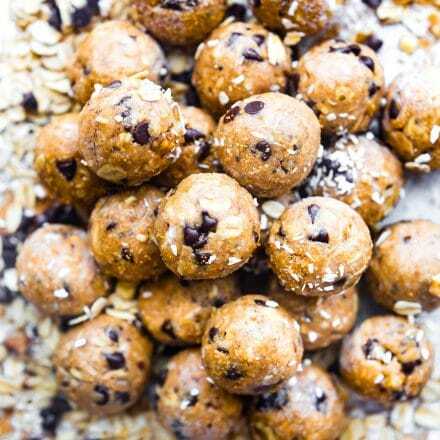 Your healthy bites are seriously the best!! Get in my belly!!! These sound amazing!! OH my, these bites sound epically delicious. I had my first bowl of rocky road ice cream when I was in jr. high – eddy’s. I fell in LOVE! Such a tasty flavor and the marshmallows are my favorite part! The Hubs loves Moose Tracks too. Peanut butter and chocolate all the way! 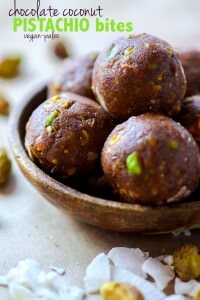 I ended up making a separate board in Pinterest just for protein/energy bites since I was always pinning yours! It cracks me up the things they don’t have in other countries. Apparently there’s not Mexican food in AUS too?! I could’t live. LOL! there’s mexican, but not real mexican. I mean like it’s soooo bland. My husband wants us to start a taco truck in NZ or AUS for that very reason. LOL! Errrrr.. can we come too??? These look absolutely delicious and my kiddos would love them!! Haha I know. I do same. Let’s start Sunday prep day for sure! Oh love this combo! I’ve made s’more ones and sometimes felt they needed something because I’m a salty and sweet combo girl. I LOVE peanut butter so why I never thought of this.. .GENIUS! I need to whip these up after I get back from my trip next weekend….already pinned! We should add gluten free pretzels next and makes it sweet salty perfection right? Yum, yum, yum, yum, YUUUUUUUUUMMMMMMMMM! These look incredible! Anything with peanut butter always wins with me – but rocky road? Hellloooo deliciousness! My favourite icecream flavour is always anything with chocolate. I’m definitely a chocolate loving girl! Hi Lindsay! 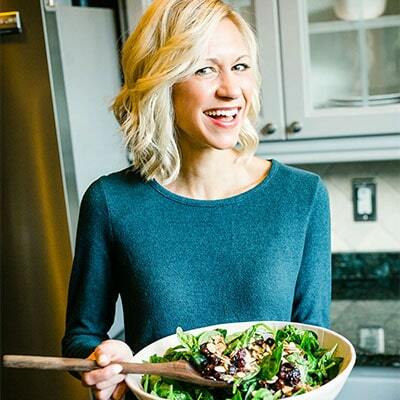 So glad I found your blog and inspiration recipes for healthy living. Can’t wait to try out these coconut rocky road peanut butter bites. I think these will definitely satisfy my sweet tooth cravings in a healthy way 🙂 Thank you! My favorite ice cream flavor is actually chocolate sorbet! If there is ever a vegan peanut butter ice cream, however, I’m SOLD. Chocolate and peanut butter? DEFINITELY SOLD. I used to love s’mores myself, and I can imagine just taking one of these bites and stuffing them in between two graham crackers with melted chocolate. It might not taste like a marshmallow, but if it’s sweet, soft and peanut buttery, that’s good enough for me!